If you’re planning on travelling around Australia and have never heard of the ‘Big Things’, well you’re in for a treat. These giant, seemingly random structures are dotted all over the country, ready to be hunted down and take centre stage in your selfies. From prawns to koalas to giant gumboots, you’ll certainly know when you’ve seen one. There are over 200 ‘Big Things’ in Australia, so scouting them all out could take you several road trips. 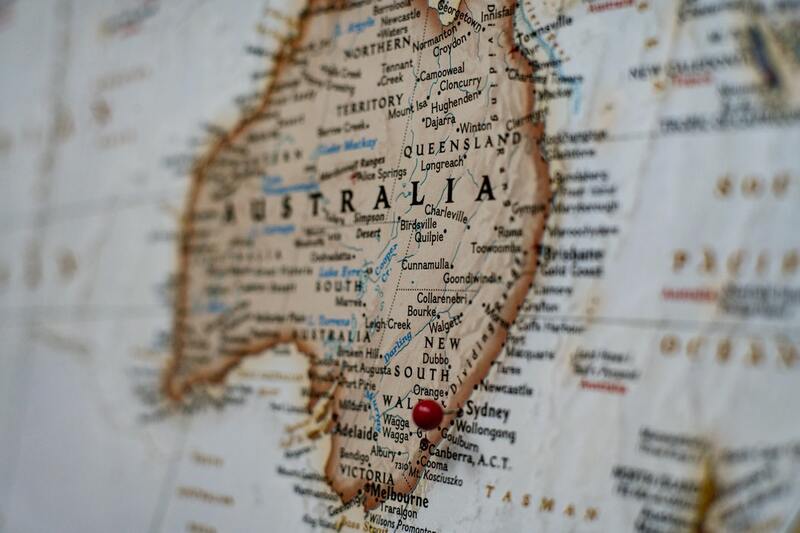 Here are just a few of the best-loved and most popular Big Things for you to factor into your next Aussie road trip itinerary. Jump in your hire car and get your selfie sticks ready! If your travels are taking you along the north coast of New South Wales, keep your eyes peeled (get it?) for the Big Banana. Constructed in 1964, this is one of Australia’s very first Big Things, built by American John Landi to promote his roadside fruit stall. The Big Banana is 13 metres long and 5 metres high, meaning you can even take a stroll through the inside. Despite causing controversy among some locals, The Big Banana has brought a lot of tourism to the area, and is now joined by the Big Banana Fun Park, World of Bananas Theatre and even a water park. While you’re cruising up the east coast, keep with the edible statue theme with a visit to the Big Prawn. This guy boasts the title of ‘Largest Artificial Prawn in the world’, and at 30,000 times larger than a real prawn, that’s exactly what you get. The prawn was built in 1989 by brothers Attila and Lous Mokany from Hungary, who also constructed nearby Big Merino Ram in Goulburn and Big Oyster in Taree. The prawn even survived near-demolition in 2010 when the service station it was constructed upon was closed. Thankfully the public came to the rescue to petition for the prawn to be saved and moved to a new location. Now you can see him with his handsome new paint job in a nearby car park. Just south west of the Big Banana is another one to tick off your list: the Big Golden Guitar. Finished in 1988, this 12 metre instrument was unveiled by famous country musician Slim Dusty, and modelled on the trophies received by winners of the Australian Country Music awards. This guitar isn’t the only of its kind either, as there are two more in Narrandera and Surfers Paradise. As one of the tallest Big Things to have been constructed, it’s not surprising that this guy is often considered the Number One Big Thing in the country. The Big Captain Cook is 14 metres tall and, despite holding up a slightly controversial salute, is meant to resemble a 1902 painting of Captain Cook. The story goes that the proposed building of Captain Cook was only approved back in 1972 because the measurements were read in feet instead of inches. Nevertheless, Captain Cook is still standing today and is a great one to check off your list. Not to be confused with the Big Koala, located in Cowes, The Giant Koala is a whopping 14 metres high, and weighs 8 tonnes! This loveable statue now stands as a memorial to Sam the koala, a brave and resilient little critter who survived third degree burns and lung damage in a devastating bushfire. Not to be left out of the fun, Western Australia also has a number of Big Things. One of the main attractions for travellers is the Big Crocodile. This monster was created in 1987 by local kids as a reminder to tourists to watch out for the real life versions who hide in lakes and rivers. Queensland certainly has its fair share of Big Things, and this one is the most popular of them all! Created in 1971, the Big Pineapple is a tribute to the booming Pineapple farming industry that takes place in Woombye, and at an impressive 16 metres high, has become a popular tourist attraction in the area. It wouldn’t be fair to create a list of the best Big Things without a mention of the oldest one of all. Created in 1963, the Big Scotsman or ‘Scotty’ stands proudly next to Scotty’s Motel in Adelaide. The 5 metre high bagpiping statue was designed by Paul Kelly, who also designed the Big Lobster in Kingston, SA. So there you have it; the very best of Australia’s Big Things! Inspired to hit the road and start checking them off your list? Grab yourself a car or campervan hire and get ready for the ultimate Aussie road trip!